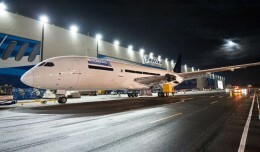 United Airlines' first Boeing 787 Dreamliner rolled out of the factory fully assembled early Thursday morning, enroute to becoming the first Dreamliner delivered to a U.S. carrier in early 2012. Cessna on Monday announced the development of a new mid-size, eight-passenger business jet called the Citation Latitude. 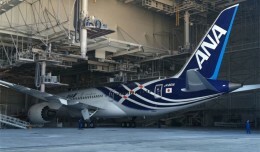 Boeing today, in conjunction with 787 launch customer All Nippon Airways, rolled out the first 787-8 commercial airliner to be used in revenue passenger service. Boeing's new 747-8 Freighter jumbo jet completed its final certification test flights on Tuesday, a major milestone toward the first delivery scheduled for September.